Perestroika means 'reconstruction', a phrase that became more and more popular in the Soviet Union under the leadership of Mikhail Gorbachev, during his reform of the communist party. 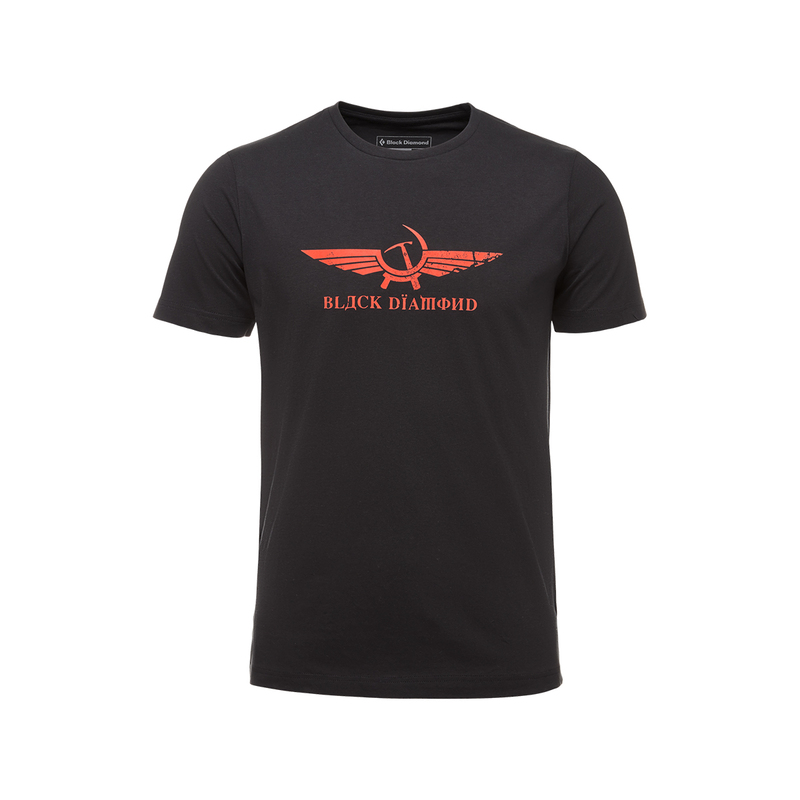 Not that important, but I was confused as to why Black Diamond was producing a t-shirt that seemed to promote the communist party. In fact it is celebrating its demise.